LymeDisease.org’s Medical Leadership works closely with our Executive team to ensure LymeDisease.org’s content is up to date and accurate. Dr. Stricker received his medical degree and training in Internal Medicine at Columbia University in New York. He did subspecialty training in Hematology/Oncology at the University of California San Francisco, and supplemental training in Immunology and Immunotherapy at California Pacific Medical Center in San Francisco. He is currently the Medical Director of Union Square Medical Associates, a multispecialty medical practice in San Francisco. Dr. Stricker is a member of the American Society of Hematology (ASH), the Federation of Clinical Immunology Societies (FOCIS), the American Federation for Medical Research (AFMR), the American Society for Reproductive Immunology (ASRI), the American Society of Microbiology (ASM), the American Academy of HIV Medicine (AAHIVM). He was past president of the International Lyme and Associated Diseases Society (ILADS). He serves on the Lyme Disease Advisory Committee that advises the California Dept. of Public Health. He has received the American Medical Association Award for Physician Excellence, and has authored over 200 medical journal articles and abstracts. Areas of special interest include immunologic infertility, immunodeficiency, coagulation disorders and tick-borne diseases. 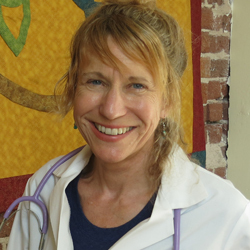 Dr. Green is a Phi Beta Kappa graduate of Reed College in biology and ecology, an appropriate choice for a doctor treating tick-borne diseases. She attended medical school at UC San Diego, followed by a family practice residency at Stanford University. Dr. Green practices Complementary, Integrative and Orthomolecular Medicine in San Francisco and Mountain View, California. Dr. Green is involved in constant collaboration and ongoing research within the patient and medical communities. She was previously on the Board of Directors of the International Lyme and Associated Diseases Society, where she served as the Director of Education. She is also Chair of the Research Committee of LymeDisease.org. Dr. Erica Lehman is an Integrative Physician, Tick-Borne Disease Specialist, Board Certified Ophthalmologist, Cornea Specialist, and Eye Surgeon in Beverly Hills, California. ” She received her under undergraduate education from Northwestern University as part of the Honors Program in Medical Education (HPME), an accelerated six year medical program. She received her medical degree from Northwestern University Feinberg School of Medicine. After receiving her MD she completed her internship at USC in internal medicine. She then did her residency in Ophthalmology at University of Chicago. This was followed by a two year surgical fellowship in Cornea, Refractive Surgery, and Anterior Segment Surgery at Louisiana State University. At LSU she participated in laboratory and clinical research. She was part of the FDA Excimer Laser team for the Phase IIB trials. 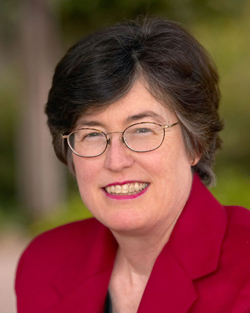 She has worked for 25 years in private practice offices in San Leandro, San Francisco, Santa Clara, Chicago, New Orleans and at the Palo Alto Medical Foundation collaborating with Stanford faculty. Her focus on Lyme began a decade ago. She treats tick-borne diseases and related conditions including infections from Bartonella, Babesia, Anaplasma, Erilichia, Rickettsia, Parasites, Mold, Marcons and viruses. Additional focus includes thyroid disease, adrenal fatigue and Gastrointestinal disturbances. She combines allopathic and functional medicine in her treatments. Dr Lehman is fluent in Spanish. Her publications include chapters on Corneal Topography, Refractive Surgery, Keratitis Sicca and several Ophthalmology Journal publications. A pharmacist by training, Mitch Hoggard pioneered the field of home infusion therapy and was the founder and president of an international home infusion company. As the president of a hyperbaric treatment center, Mr. Hoggard has published research on treatment of stroke, Crohn’s disease and Parkinson’s disease. He turned his attention to tick-borne illnesses when his children became infected with Lyme disease. Mr. Hoggard is a frequent lecturer to physicians and patients on the subject of antibiotic therapy for Lyme. While leading companies in several other industries, Mr. Hoggard continues to devote much time to research, education, and treatment of Lyme disease. LymeDisease.org’s Executive Leadership blends award-winning expertise in advocacy, legal, journalism, health communication and content creation to bring you the best Lyme disease health information possible. Our CEO is a frequent contributor to medical journal publications. Carolyn Cooper Degnan has been an active volunteer in the Lyme community since 2005. She has a strong leadership and operations background in both non-profit and for-profit businesses. 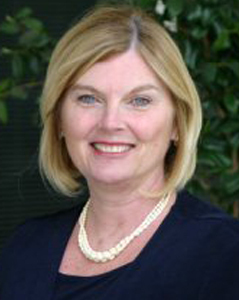 Her former leadership roles include: Pres/CEO of the San Ramon Chamber of Commerce, President of the San Ramon Valley Education Foundation, owner of Degnan Insurance Agency and as a member several other non-profit Boards. She also has extensive non-profit event management and fundraising experience in addition to a strong operations background. Most recently she was the Practice/Business manager for a prominent West Coast LLMD before coming to LDo in 2018 as the new COO. 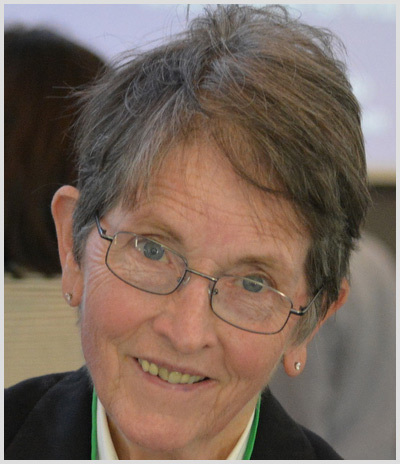 In 1989, Phyllis Mervine established the Lyme Disease Resource Center, later re-named LymeDisease.org. She also founded The Lyme Times and serves as its editor-in-chief. In an effort to help Lyme patients join together for mutual support and political action, she set up LymeDisease.org’s network of online state support groups. She has collaborated with researchers studying ticks, animal reservoirs, and human infection in northern California. She has served on numerous advisory committees both locally and nationally, and is a former member of the National Institute of Health’s Advisory Panel for Studies on Chronic Lyme Disease. She has had several letters and one article published in peer-reviewed medical journals, and her posters have been displayed at international Lyme conferences. Her special interests are networking and community-building, improving patient access to accurate information, and educating, mentoring, encouraging and supporting the next generation of Lyme disease advocates. Dorothy Kupcha Leland has a professional background in journalism, politics and book publishing. After her daughter became seriously disabled by Lyme disease in 2005, Dorothy became active with LymeDisease.org. She writes the Touched by Lyme blog, coordinates LDo’s social media, and spearheads LymeDisease.org’s public education efforts. She has a special interest in how Lyme disease affects the whole family—not just the person with the illness. She is co-author of the book When Your Child Has Lyme Disease: A Parent’s Survival Guide. Barbara Barsocchini serves on California’s Lyme Disease Advisory Committee, is a trustee of the Los Angeles County West Vector Control District and is the official Lyme disease spokesperson for the city of Malibu. Over the past 15 years, she has organized educational conferences for Lyme patients throughout California, and provided support and information to Lyme patients through a variety of channels. After 25 years as an entrepreneur, Ron Lindorf is now an Associate Professor at the Marriott School of Management at Brigham Young University. Previously, he founded an international survey research and data processing company and other successful businesses in the media and political fields. He serves as executive director of the Utah Lyme Disease Association and is active in sponsoring fundraising for continued research in Lyme disease. An internationally recognized entomologist, Dr. Lane has published numerous articles on ticks and Lyme disease in peer-reviewed medical journals. He is a top-rated NIH grantee. He conducts field studies in northern California and is a Professor Emeritus UC Berkeley. He serves on California’s Lyme Disease Advisory Committee and is a member of LymeDisease.org’s Scientific Review Committee.